Bob Tasca III has been racing since he was 16 years old. He started his racing career by attending Roy Hill’s driving school. From there he went on to be licensed in 4 NHRA classes. In 2005, after years of being around the John Force program Bob wanted to try his skills in a Top Alcohol Funny Car, the stepping stone to entering the Top Fuel program. After attending Frank Hawley’s Top Alcohol Funny Car driving program Tasca decided to build their own car and enter the professional ranks. 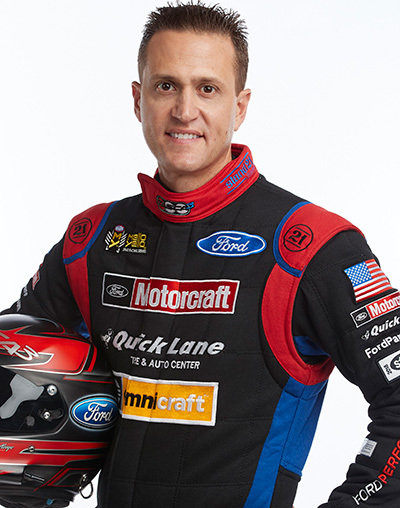 In just his first 2 years on the professional circuit the Tasca team has landed 12 final round appearances. Won 6 National events and 2 divisional races. Went to back to back Finals of the Super Bowl of NHRA racing in Indianapolis in 2006 & 2007! In 2008 Bob Tasca III broke into the Nitro Funny Car class as Team owner and driver of the Motorcraft / Quick Lane Top Fuel Funny Car. Over his career in Nitro Funny Car Tasca has four wins, 27 semifinals and 13 final round appearances. Tasca Automotive Group was founded in 1943 by Bob Tasca, Sr. Today Tasca Automotive Group operates new vehicle dealerships in Rhode Island, Massachusetts and Connecticut. They represent the following franchises Ford, Lincoln, Chevrolet, GMC, Buick, Chrysler, Dodge, Jeep, Ram, Volvo and Mazda. Their corporate office is located at 33 Sharpe Dr, Cranston RI 02920.